Don't believe the hype—these baby care myths could be hazardous to your little one's health. Newbie parents have a lot of potential sources of information: the internet, seasoned parents, a bookshelf's worth of books, and of course, their baby's doctor. But odds are, on any baby care issue, you're bound to find vastly different information—and not all of it is accurate. 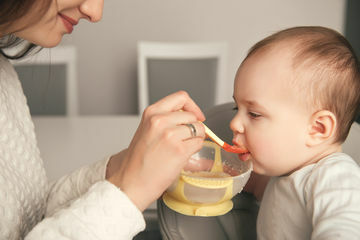 From what to do when your baby has a fever to how to introduce solids, this misinformation can be more than frustrating—it can be harmful to your baby's health. And that makes it extra important to be vigilant against poor advice. "Myths evolved from years and generations of passed-on information before we had evidence-based studies to refute them, so there are many of them," warns Marnie Baker, M.D., a pediatrician with Saddleback Memorial Medical Center in Laguna Hills, California. She says that parents should ask their child's pediatrician for the most updated information and take the time to address baby care during each visit. Linh Nguyen England, M.D., a pediatrician at Miller Children's & Women's Hospital in Long Beach, California says that your child's pediatrician should be happy to address any concerns. "As new parents, it is crucial to develop a trusting relationship with your child's physician and be able to discuss all baby-related issues without feeling that they are silly or embarrassing questions or that 'you are going to be in trouble if you tell certain things to your pediatrician,'" she adds. Here's a glimpse at just a few baby care myths out there, so you can cross these off your list before your next talk with your doc. Myth #1: Feeding your baby cereal helps her sleep through the night. When new parents complain that their baby isn't sleeping through the night, plenty of tips come in. One of the biggest is the suggestion to feed your baby cereal to keep their tummies full and help them sleep. "Many babies are developmentally ready to sleep through the night between four and six months—typically the same time solids are introduced," Dr. Baker. But, she says the myth they will sleep as a result of the cereal can leave parents disappointed. "While this can be a pleasurable experience for most, it is not a significant source of calories that would impact the baby's sleep patterns." Myth #2: Give water, tea, or diluted milk to young babies when they are sick or when the weather is hot so they won't be thirsty. Drinking more water may help us feel better, but this isn't the case for babies—and in fact, it can be hazardous to their health. "This myth can be harmful to babies less than four months old because it can cause sodium imbalance," says Dr. Nguyen England. Giving babies water, tea or diluted milk "can be dangerous and possibly cause issues like seizures in babies." Yikes! 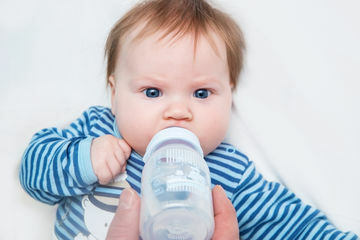 Myth #3: Fussy infants must be teething. "Infants between four and six months start drooling, learn to put things in their mouth, and communicate their needs by crying," says Dr. Baker. To us, these signs point to teething—a perfect potential cause for their fussiness. But Dr. Baker says you shouldn't believe the hype. "These are normal developmental milestones that have nothing to do with teething," she says. "The first tooth typically erupts about six months of age, but the range is between four months and 12 months. Front tooth eruption can sometimes cause mild discomfort when trying to breastfeed or take a bottle, but is not related to infant fussiness, drooling, or putting objects in their mouths." Myth #4: Babies are more comfortable and sleep better when placed on their bellies. Parents can really struggle with the sleep deprivation that comes with raising newborns. And that can lead some to try just about anything—including going against the advice of the American Academy of Pediatrics and letting their babies sleep on their stomachs. But Dr. Nguyen England reminds us that tummy sleeping is dangerous for your baby. "Because in the past it was actually recommended for babies to sleep [on their bellies], grandparents might be still misinformed and provide incorrect guidance to new parents," she warns. Babies should always be placed on their backs to sleep, to reduce the risk of SIDS. "American Academy of Pediatrics, government and advocacy groups for children continue to urge families to do so." 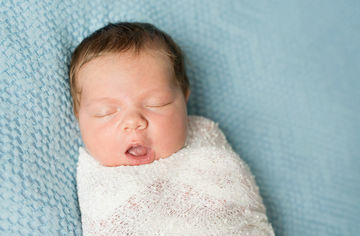 When your baby spikes a temp, let's face it: You're going to be worried (and a call to Baby's pediatrician is in order). But the idea that fevers are dangerous and always need to be treated is incorrect. "Fevers help our bodies fight infection and body temperature will fluctuate during an illness, with or without anti-fever medication," explains Dr. Baker. She adds, "There is no evidence to support that a fever causes brain damage or deafness under these circumstances." Dr. Nguyen England agrees, saying that although fevers are alarming to parents, it's not always necessary to treat the high temperature. "Any fever—that is a temperature above 100.4F—in young babies should be evaluated for the reason behind it—a virus, vaccine, ear infection, teething, etc.," she says. "It is not necessary to panic and use multiple medications to desperately try to bring the temperature down. It is important to keep your child comfortable, supported through the illness and kept hydrated." Myth #6: Parents should give Tylenol before vaccines to reduce pain or the chance of a reaction. "Vaccines are intramuscular injections that cause brief discomfort that will not be relieved by oral pain reliever," says Dr. Baker. "One study suggested that the normal antibody response to the vaccine could actually be reduced by giving pain/fever reducer medication," she warns. 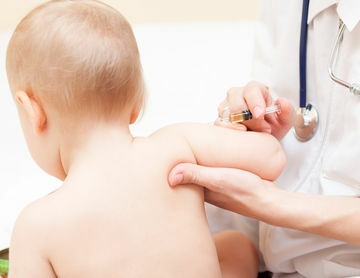 She says that most reactions to vaccines "are mild and include a low-grade fever, pain at the injection site, or fussiness starting about six hours after the vaccines," but they should only last about 24 to 48 hours. Dr. Baker says that most babies have no symptoms after a routine vaccination and don't need any medication. Myth #7: You'll spoil your baby by holding her too much. So many parents are led to believe that if you pick your child up whenever they cry or you carry them for a large part of the day, you'll be doing more harm than good. That's totally not true. "In the first few months of life, babies need a lot of skin-to-skin direct contact," Dr. Nguyen England says. "This helps to soothe the baby and to better learn how to get the baby's needs met. That is not to say you have to carry your child around all the time, but in the first few months we do recommend helping your baby calm down when crying." Myth #8: You should introduce only one new food at a time and wait at least three days before introducing another food. It's an exciting milestone when our babies are four to six months old and ready to try solid foods, but there are still a lot of myths around how to go about it. Dr. Baker says that parents don't need to heed the advice that you can only add one food at a time, and wait days between each new food. 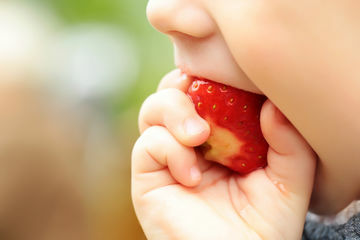 "The first solid foods for infants include single grain cereals and Stage 1 purees, consisting of single-ingredient fruits or vegetables," she says. "These first foods rarely cause allergy and are usually well tolerated, and a wide array of these foods can safely be introduced simultaneously during this stage." Myth #9: My baby is constipated because she has not had a bowel movement in few days. Ah, we've never discussed poop more in our lives than when we become parents, and there is so much we don't know regarding what's normal and what's worrisome—and when things change, we may think something is wrong. Not so fast. "New parents become used to frequent bowel movements in the newborn period, and then freak out when the bowel movements are less frequent," says Dr. Nguyen England. "As babies grow, they can have less frequent bowel movements," she adds. Every baby will have a different schedule for their bowel movements. "Some babies will still have a bowel movement a few times a day, others will have a bowel movement every few days," she says, saying that how your baby acts is more important than the timing. "If your baby is comfortable and stool consistency is not hard or looks like pellets or has blood in it, then it is not likely that he or she is constipated."